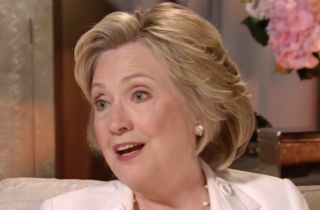 NBC’s Andrea Mitchell reported on the Today show Tuesday that white women were abandoning Hillary Clinton “in droves,” and that the Democratic presidential candidate was desperately trying to win them back. “Hillary Clinton is reaching out to that group that she had always counted on, white women voters, who are now abandoning her in droves during the last two months,” Mitchell reported. Clinton has spent the past few weeks doing everything possible to court women voters, even going so far as to seek out women-owned businesses to grab lunch. “This after seeing her support among white women in one new poll go from 71% in July to just 42% now, a 29% drop in only eight weeks as Clinton has been hammered with questions about her private emails,” Mitchell noted. Mitchell, one of the few hard news reporters to have interviewed the candidate so far, noted that Clinton is reaching out to women by doing “softer interviews,” including talking to Mario Lopez about meeting Kim Kardashian.